An initiative aimed at engaging with males responsible for incidents of family harm is a finalist at an international conference on developing new responses to existing problems. ReachOut was created in North Canterbury by agencies including Police and Aviva. Aviva is a specialist family and sexual violence response agency based in Canterbury, and was formerly known as Christchurch Women's Refuge. It is an early intervention service for men wanting support to move away from a life of relationship conflict, anger and violence. The prevention first approach is one of seven finalists at the Annual Problem-Oriented Policing Conference, to be held in Tempe, Arizona, 24-26 October, 2016. A small delegation from Canterbury Police and Aviva will make a presentation to a panel of judges who will determine the winner of the Herman Goldstein Award for Excellence in Problem-Oriented Policing. Herman Goldstein, Professor of Law Emeritus at the University of Wisconsin Law School, conceived and developed the theory of problem-oriented policing. “It’s an honour to see this initiative selected as a finalist at the Problem-Oriented Policing Conference. 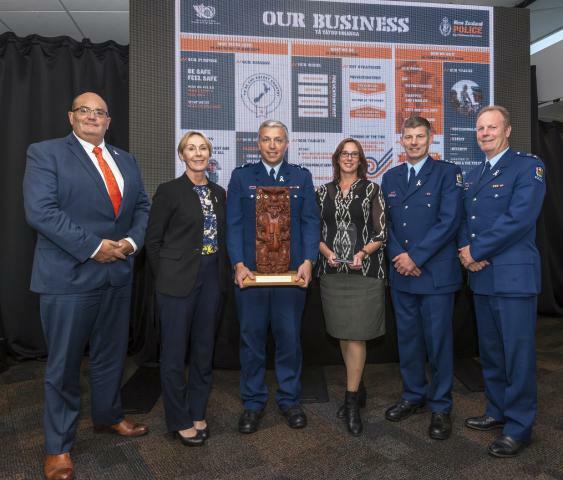 It underlines the dedication by local Police and local partner agencies who are committed to making a positive difference in society,” says Canterbury Police District Prevention Manager, Inspector Corrie Parnell. “I’m thrilled this project is receiving some exposure overseas. As well as explaining our approach to family harm, I am also keen to hear about the solutions other Police jurisdictions have developed to address problems in their areas,” says North Canterbury Family Protection Officer, Senior Constable Chris Hurring. “ReachOut proves that if you offer someone support in the right way - with belief in their ability and willingness to change, and their value as a person - then they will take up that offer, and that challenge,” says Aviva CEO, Nicola Woodward. “ReachOut supports men on their own personal journey, but in doing so, it makes women and children safer,” she says. A two-person New Zealand Police party will join other award finalists in Arizona from other Police jurisdictions, including Oregon, Texas and London.